Internet thrives on content. Just as we breathe in oxygen to survive, the internet needs content to thrive on. It becomes essential for a website or a webpage to have constructive content. And that’s where content writing comes in. A profession having taken the world by surprise, content writing has changed the face of online marketing. It is a profession which doesn’t need a qualifying degree or diploma. This then enables every man to give it a shot and make a living out of content writing. Like every coin has two sides, content writing also has its pros and cons. It has opened doors to millions all over the world; but has also increased the amount of spam. At a time when the farthest person on the planet is only a few clicks away and technology is craving an online market, content writing has only an upward ladder to climb. A profession which is only a click away to millions, the scope for revenue generation is huge, to say the least. 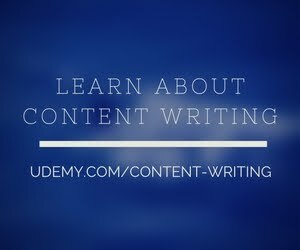 While many make money out of content writing, a larger number of people make money out of teaching people to write content. While this may work for some, it may prove to be a disaster for many. Writing may be a cup of tea for some, for others it may be as difficult as rock climbing. Content writing calls for specialists as well as rookies. For someone who is experienced, providing content may become the easiest way to generate revenue and as far as a rookie is concerned, he can make his mark in this industry with persistence and practice. There are many who have made content writing a full-time business. Since most transactions happen online, a great amount of trust has to be shared between the provider and customer. Even before that, customer acquisition is a skill that has to be mastered. Once that has been achieved, making money is not far away.